Esports will make a historic debut at the upcoming Asian Games scheduled to kick off Aug. 18 in Jakarta and Palembang where they will be held as a demonstration event for the first time. 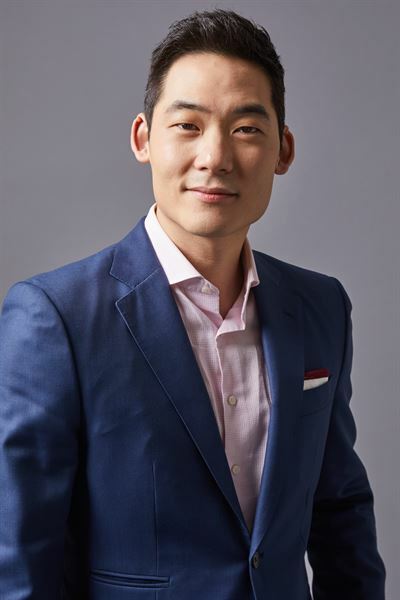 The debut of esports at the major multi-sport event is a clear sign the traditional sports world is realizing they are here to stay, Arnold Hur, chief growth officer (CGO) of Gen.G esports, said during a recent interview with The Korea Times. Hur said this will offer great opportunities for the traditional sports and esports worlds to learn from each other. For esports itself, its debut at the event will be a chance to become a global pastime, and various business models related to them will be created as well, he said. "We view this debut as a great first step that instead of rejecting the other side, both the traditional sports and esports worlds are using the opportunity to learn from each other," he said during the interview, Wednesday. "For instance, we think there is much we can learn from traditional sports around things like player care and development as well as their incredible management of media to help fans understand the incredible storylines behind the players and teams. In turn, we think esports brings to the table a fully digital sport that creates many opportunities for teams and players to engage directly with their fans in new, innovative ways." Gen.G esports, a global esports company headquartered in Seoul, is the home of Seoul Dynasty in the Overwatch League, and Gen.G League of Legends (LOL) which won the 2017 League of Legends World Championship. Other teams managed by the company include Gen.G PUBG GOLD and Gen.G PUBG BLACK specializing in "PlayerUnknown's Battleground," Gen.G HotS playing "Heroes of the Storm" and Gen.G Clash Royale. In addition to players, the company, which also has offices in San Francisco, Los Angeles and Shanghai, manages coaches for the five teams. Among its players and coaches, the firm will send two players and a coach for the Korean national team competing for the "LoL" title at the Asian Games -- "LoL" is one of six esports titles debuting at the Games. Hur said it has been a bit tough to prepare for the Games because the participation is beyond all precedents there. "Our schedule is extremely hectic with the regular season in such a close playoff race, but the entire organization felt we couldn't miss such a unique opportunity to represent Korea," he said. "Luckily, our organization has a lot of experience in global competitions, so we recognize many of the players from previous matches and scouting that we have done. However, there are many players we don't have experience with as well as team compositions that are brand new to us, so we are hard at work to make sure we are putting in our time to scout players and coaching strategies so we can be as prepared as possible and provide our team the best chance to win." Players of Gen.G esports also participated in the PUBG Global Invitational (PGI) 2018, which kicked off July 25 for a five-day run at the Mercedes-Benz Arena in Berlin. Twenty teams from around the world, including two from Korea, competed at the event, and Gen.G PUBG GOLD won the championship at the Third Person Perspective (TPP), solidifying Korea's position in global esports competitions. "We've learned that the most successful teams, much like the most successful businesses, create a dialogue with their team to face and work through problems together. As well, because so many things change so quickly on the ground in esports, providing the ability for players to make strategic decisions on the ground in an agile way is a critical one," Hur said. "For us, this agile approach was one we had to rely on during this PUBG tournament. Since the Korea teams were the last to qualify, we had the least amount of time to prepare for our opponents to understand what types of strategies they would use against 20 of the best PUBG teams from all over the world participated in PGI 2018." The company is currently in the process of establishing a seven-story esports center in Korea, and once the construction is completed, players will be able to practice and even lounge there, in a location separate from their homes, Hur said. "We realized one of the toughest things to deal with as esports athletes is the lack of separation between work and home since you're living where you practice," he said. He noted that the firm is going to build a lounge where players can relax and play darts, something unrelated to computers. "This is one area where we are working hard to learn from the traditional sports world how they manage mental and physical wellness," he said. The company has also started a physical training program for its players so that they can take care of their physical wellbeing. The company is focusing its efforts to assist its players in building their brand ― whether it is communicating with their fans online or establishing a public persona that accurately reflects who they are and who they want to be. "It's new and challenging but that's part of the responsibility of becoming a presence when esports is becoming larger," he said. "Of course, at the end of the day, our primary focus is making the best teams and putting them in great positions to win championships, so we always defer to the coaching staff and players to find the right balance." Hur stressed that esports is going to become the global pastime as people all around the world can instantly play and watch the best competitions as long as they have an internet connection. "For example, you can watch one of the best players in the world like Esca play. Not only do you try to imitate his plays at home but actually attempt those skills in competition. No other sport can boast this level of global connectivity and vast competition," he said. He said, however, that Korea, regarded as the home of esports, is still tasked with effectively establishing its esports ecosystem as it is still a complicated one where conglomerates and some smaller esports-focused companies are intermingled, neither of which are operating effectively with global partners, media and technology companies. "We have a great opportunity to open the incredible talent and infrastructure of the Korean market to the global esports world, and we are already seeing signs outside that the world is beginning to notice the potential of Korea to establish itself as the next professional sports hub through esports," he said. Hur said the core business aspects of esports are media and broadcasting rights, which he said will be highly valued as publishers align with the right teams to drive the entire league and esports scene to above and beyond. "The rights over broadcasting, if managed well, are highly valuable, both in terms of matches and streaming rights of the players for content," he said. Another aspect is the sponsors, he said, noting that sponsors in esports are not just given exposure and credit through jersey patches but are actually rewarded with those special organic moments of achievement and excitement. "Those authentic moments are what bring sponsors into this increasingly lucrative esports audience," he said. Also, although this is still in its early stages, there are events and merchandise, he said, adding that in the case of merchandises, although tangible t-shirts and jerseys show steady sales, the in-game skins too are showing to be a profitable source. "Most recently, fans have started wearing our Gen.G skin after our championship in the PGI tournament," he said. "It's great because you can wear the jersey of your team within the game or as a character in the game. It's almost like a classic sports business model and you fast forward 10 years, and that's the right way to think about the esports world." He then called on Korean game publishers to create more popular esports titles to make their games more popular at global competitions, largely dominated by American games such as "LoL" and "Starcraft." "First, the most important thing is to find a way to engage directly with fans, teams and players to understand their input and move more quickly to create a highly competitive game," he said. "Without quickly adapting a game to be competitive, even an early large player base will quickly dwindle as they move on to the next new, hot title." Citing that there is not as much experience with franchised professional sports leagues as there is in the United States, he said, creating a franchise system is a critical step to creating a viable business model for the teams to participate. "More importantly to create co-ownership is to make a more successful league," he said. Regarding worries rampant among some parents and politicians in Koreaabout PC online or mobile games, which could hinder the development of the nation's esports, Hur said esports needs better ambassadors that help tell the story of esports, which can help drive a positive change in perception. "I've been amazed working with such a talented team here at Gen.G that works incredibly hard, harder than any I've worked with at either Google or Goldman Sachs to try to achieve their dreams," he said. "That's why we've taken it on ourselves to create a very professional organization with globally minded, talented people across the organization with experience in top firms so that we can do a better job of connecting our team to a mainstream audience through the right media and business partnerships to help change the perception of esports." It is feared, however, that the negative view of esports culture in Korea will not change fast enough, although the rest of the world is quickly realizing its potential, Hur said. "In places like China, the government is investing heavily into esports, building facilities and even creating academic programs to train the next generation the same way Korea invested heavily into building a leading internet and technology infrastructure," he said. "In Korea, you have the most talented esports teams in the world but it is kind of moving a little slower than the rest of the world now." He emphasized that esports is going mainstream, so Korea should not fall behind in keeping its leadership position. "For a majority of those aged 18 to 25, there's a higher chance they're going to watch an esports match than a baseball game in Korea," he said. "Perceptions are changing, and I want to change both, not just the feelings of politicians and parents, but also the corporate viewpoint and help all partners see the incredible potential to become supportive of its success. That's really what motivates me to try to achieve great things on a global level to help keep Korea's leadership position in esports."